Due to a positive change in our family, I’m not going to be able to give the business my full time attention. We are therefore reducing the number of shows that we are going to attend in the next 10 months after this we will take stock of our situation and hopefully we can start attending shows again. 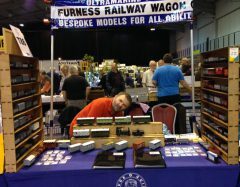 We will still be attending the LNWR Society’s Kiddiminster show in July with our layout, GOG GuildEx Telford in September with the stand and Warley NEC show with our layout, in November. I will also be reducing the number of types of kits/ready to run products. Most of our kits are produced as limited additions, usually 30 wagons, so I will not be retooling them once they have come to the end of their production run. We will be still going to do mail order in this time and all ordered will be fulfilled but there may be some slight delays. We Currently have to layouts that are available to go to shows. DETAILS OF EXHIBIT: 7mm DCC Pre grouping layout. The layout features a halt and exchange sidings to an off scene industry. The location of the layout and the off scene industry can change depending on the stock and buildings in use on the day. The layout can be operated in the following configurations. I’m sorry to announce that due to a slipped a disc in my back I’m not going to be able to attend the Show on Saturday. I was hoping to make the show but my recovery has not been as fast as I was hoping. We were hoping to show off our new venture of 3D printed wagons that will be available on our new Shapeways shop starting with a Mid-Wales/Cambrian 6ton Brake Van. In addition to this I was hoping to show off the new prototypes of our NER H2 0-6-0T, NER coaches, Taff Vale/Barry 5 plank open, Barry/Furness 5 plank open, LBSCR Brake Vans (4 and 6 Wheeled) and LBSCR 6 plank open. If you were hoping to pick up kits from us if you contact us next week and I should be able to sort you out and post them out to you. Again sorry for any inconvenience. We have now started a Shapeways Shop. Some of our new models will only be available as “Ready to Run” or as a 3D print from our Shapeways Shop. Also instead of retooling some of our early less popular kits the bodies will be available as 3D prints. In addition we will be putting accessories like axel boxes, wheel springs etc onto the shop. 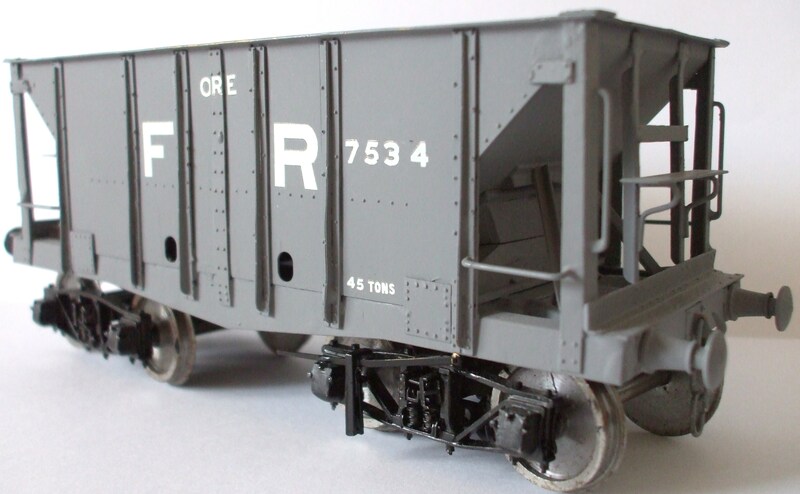 The LSWR 4/6Wheel coaches are now available. We are going to be adding instructions for all our kits to the website as we develop the site.